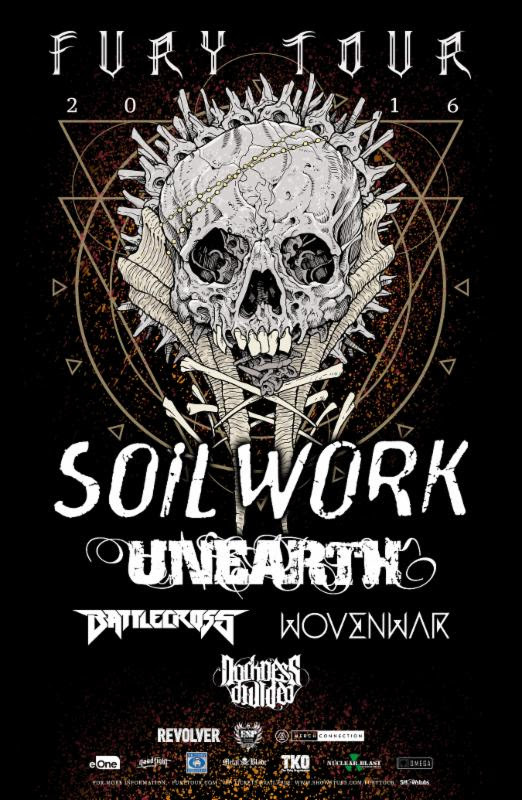 Metal Blade lablemates BATTLECROSS and WOVENWAR will kick off their North American Fury Tour tonight supporting Soilwork and Unearth. The trek will coil its way through over two dozen venues, coming to a close on November 16th in Toronto, Ontario. Additional support will be provided by Darkness Divided. Following the journey, BATTLECROSS will close 2016 with a three-week headlining run: the third installment of the Winter Warriors Tour. This year, support will be provided by Metal Blade labelmates Allegaeon and Necromancing The Stone. In conjunction with the Veterans Ticket Foundation, the Winter Warriors Tour will once again offer free admission to members of the US Armed Forces and the band will donate a portion of their proceeds to local veterans’ organizations in each city. Veterans are invited to register for free tickets at vettix.org. 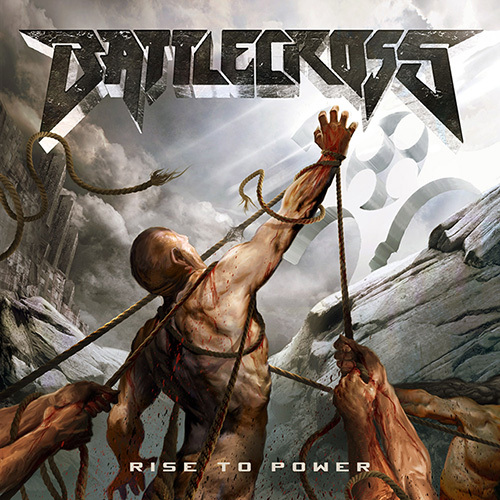 BATTLECROSS will be touring in support of their latest album, Rise To Power, which landed on the Billboard charts at #103, marking the band’s second Billboard chart entry (2013’s War Of Will entered the charts at #130). To preview and purchase Rise To Power, visit: metalblade.com/battlecross. On October 21st, WOVENWAR will release their sophomore album, Honor Is Dead. More aggressive and fluid than its self-titled predecessor, Honor Is Dead was written with contributions from all members, while the music for Wovenwar was mostly written before vocalist Shane Blay joined the band. The results speak for themselves, capturing a group that sounds truly unified, and hungry. Expanding upon the ruthlessly catchy melodies and hooks of their debut and driven by darker lyrical themes, Honor Is Dead makes for a listening experience with true depth, and a broad emotional range. To hear latest single, “World On Fire,” visit AltPress.com at THIS LOCATION where a drum play through for the track can be viewed, alongside an exclusive interview with drummer Jordan Mancino. For preorder info and to check out a concept video (by the band’s own Nick Hipa) for “Censorship” visit: metalblade.com/wovenwar. This entry was posted on October 17, 2016 at 4:50 pm and is filed under Heavy Metal, Metal, Music, music news, news, rock music, world news with tags battlecross, Metal News, metal odyssey, soilwork, Thrash Metal. You can follow any responses to this entry through the RSS 2.0 feed. You can leave a response, or trackback from your own site.